American write month before day e.g. MM-dd-YY while British write day and the same British date format is also popular in India e.g. dd-MM-YYYY format. The same date 16th June 2016, will be written as 06-16-2016 in the United States and 16-06-2016 in Indian and England. Btw, that's not the end of it there are several other date formats are popular around the world e.g. Japanese write year first e.g. yyyy-MM-dd or shortened one yy-MM-dd. The built-in formats which can be used for both parsing text into date and formatting date into text can be used to cover most of these popular date format around the world. It also allows you to specify your own custom date format. The actual formatting and parsing work is done by the format() and parse() method of LocalDateTime class. 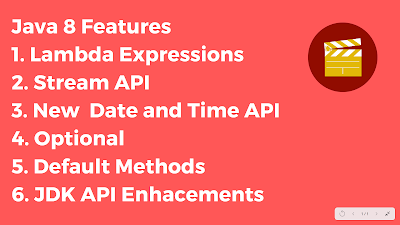 This is a significant change in API, remember in old Date API, DateFormat class does both like it specifies the format and also provide parse() and format() method to carry out parsing and formatting. You can further read The Complete Java MasterClass to learn more about new Date Time API of Java 8. This is an example-driven article, where you will see lots of how to format a date in Java. I also provide a little bit of commentary around example to highlight essential details e.g. you should be using "m" and not "M" while specifying formatting instruction for a month. Well, the good thing about new Date and Time API is that it has kept the formatting instruction same as old API, so you don't need to learn it again. The formatting instruction "yyyy-MM-dd" will produce 2016-06-16 with both new (LocalDateTime and DateTimeFormatter) and old Date and time API ((Date and SimpleDateFormat) in Java. We'll first see examples of formatting dates into various date format popular around the world and then we'll learn how to parse the text to date by using parse() method. You can format a date into ISO date format which is nothing but yyyy-MM-dd format i.e. it will print the current date as 2016-06-16 as shown in the following example. This is an inbuilt formatter available in DateTimeFormatter class, its static as well, so just access it like we have done in this example. No need to specify any pattern. The new Date and Time API not just provide built-in DateTimeFormatter but also allow you to create a custom one by specifying the pattern you want. In this example, we are creating a custom DateTimeFormatter patter to show dates in Indian date format i.e. dd-MM-yyyy (16-06-2016). This is also the British date format, popular in England and some part of UK. Bottom line is as long as you understand the Date and Time formatting instruction you can define any pattern to formate date. The reason is obvious, there is no timezone information present in LocalDateTime. If you want to print date with timezone then you should first convert LocalDateTimet to ZonedDateTime and then format it. Don't worry, we'll see an example of formatting date with timezone later in this article. If you want to learn more, you can also see What's New in Java 8 course on Pluralsight. The DateTimeFormatter also allows you to create a format to represent date in localized format e.g. in French, German or any other format. For example, the month of June is called "juin" in French and if you want to print a date e.g. 16. juin 2016, you need to let DatTimeFormatter know that you are interested in french locale. You can see that Java has printed date in french format, "Jun" is written as "Juin", good stuff? No? Here is one more example of formatting date in Java 8 as per locale. This time we are printing date in short german date time format i.e. 06.16.116 12:07. We are using the same approach as previous example with the only change that instead of passing our pattern we are leveraging built-in ofLocalizedDateTime() method to create a localized date format. You use this approach to print date in any other locale as well. So far we have seen an example for formatting Date and DateTime and now is a time to print formatted time in Java 8. Nothing changes except the DateTimeFormatter instance, this time we'll use the DateTimeFormatter.ISO_TIME format which prints time in HH:mm:ss:SSS format. Here "s" is for second and "S" is for a millisecond. See the DateTimeFormat class for a full list of formatting instruction you can use to generate a pattern for formatting and parsing. Sometimes we need to print the date in long format e.g. 16th June 2016. You can do so by using pattern dd-MMM-yyyy, the three M pattern will print the Month in three letters e.g. "Jan", "Feb" or "Jun". If you want full name of the month just uses "MMMM" pattern. Rest of the process is same as the earlier example, you pass this pattern to static factory method ofPattern(), which return a corresponding DateTimeFormatter instance, which is used by LocalDateTime to convert a date in long format. If you don't want dash in between, just remove the dash and introduce space. 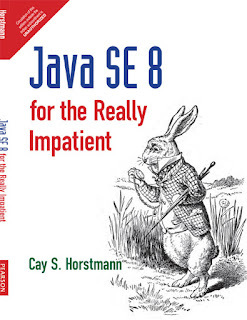 See Java SE 8 for Really Impatient by Cay S. Horstmann to learn more. One of the best books to learn Java 8.
which is obvious, because you don't have time zone related data. Now that you know about how to format the date in Java, in which we create a formatted String from the LocalDateTime object, it's time to learn the other way i.e. converting formatted String to Date in Java 8. All the knowledge you acquire about the date and time patterns while formatting is equally applicable here because you still need to create DateTimeFormatter of the pattern your date is, without that you cannot parse the text. Another worth noting point is that all three key classes e.g. 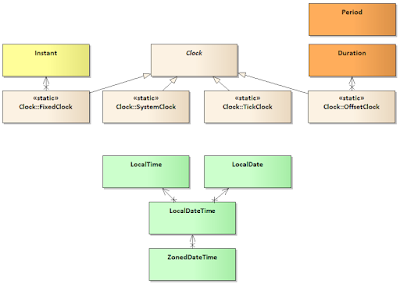 LocalDate, LocalTime and LocalDateTime have parse() method and they are overloaded two. The parse() method of LocalDate will parse the String by using ISO_LOCAL_DATE e.g. "2016-06-16" and parse(DateTimeFormatter) will parse according to the pattern specified in that class. If the text is not valid as per pattern then ParseException will be thrown. Similarly, LocalTime also has parse() method to parse text into ISO_LOCAL_TIME format and LocalDateTime also has parse method convert String of ISO_LOCAL_DATETIME format. and here is the complete Java program to show you how to use LocalDateTime and DateTimeFormatter to format and parse dates in Java 8. If you want to learn more about Date Time API and Java 8 in general, you can also check out The Complete Java MasterClass course on Udemy. One of the most up-to-date Java course which is also recently updated for Java 11. Here is the complete sample program to demonstrate all the ways to format and parse date and time in JDK 8. * LocalDateTime in Java 8. That's all about how to to parse and format date and time in Java. We've seen lots of examples to format LocalDateTime to various popular date time format around the world e.g. the USA date format "yyyy-MM-dd" and the UK date format "dd-MM-yyyy" which is also popular in India. Wherever possible use the built-in formatter from the DateTimeFormatter class. You also don't need to be worried about thread-safety becuase both LocalDateTime and DateTimeFormatter are immutable in Java 8.